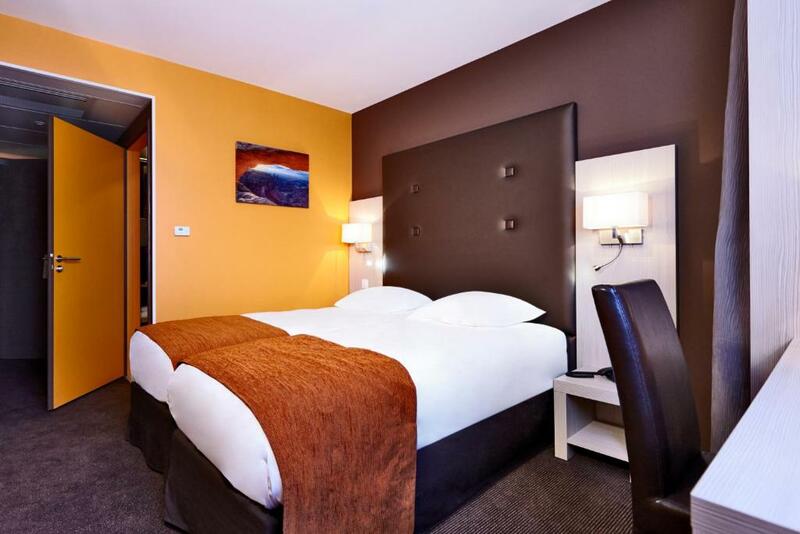 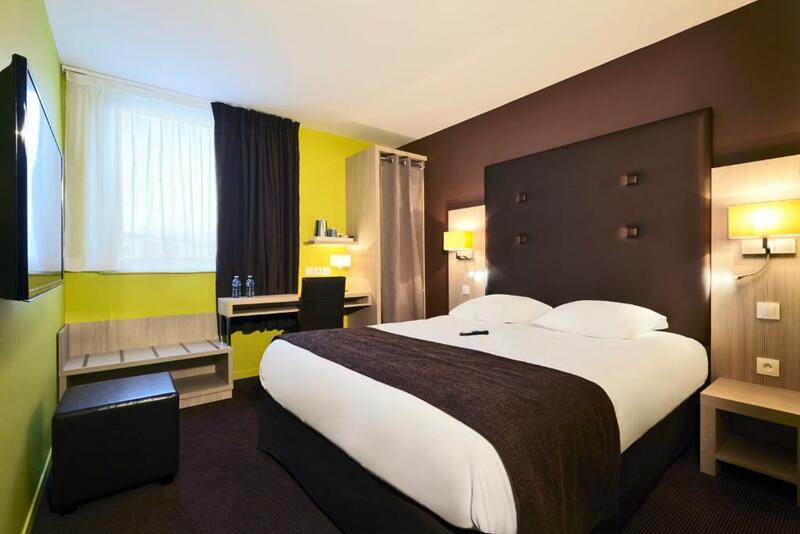 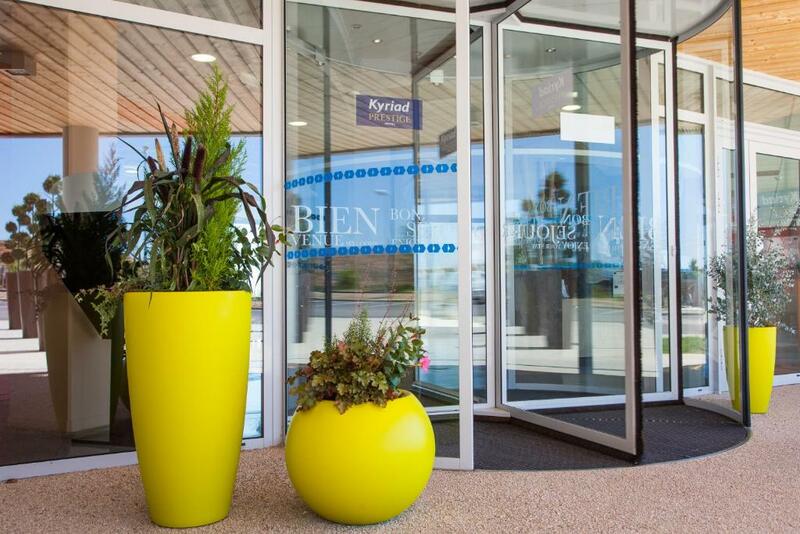 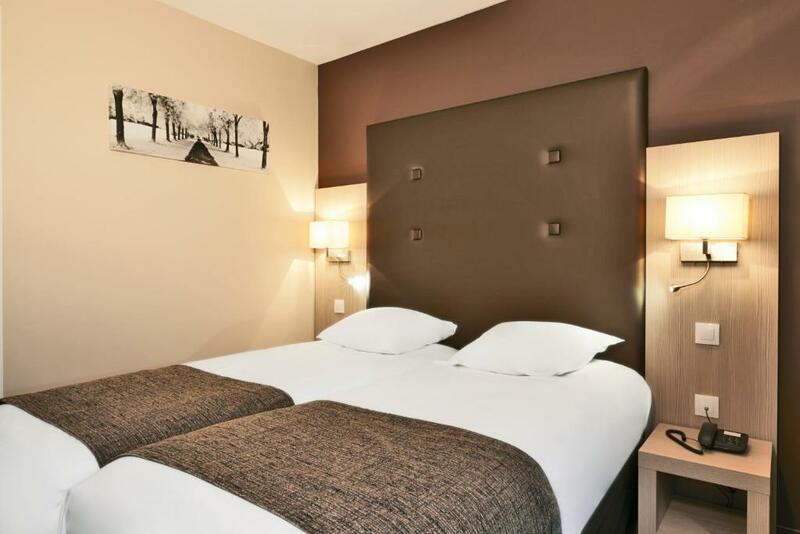 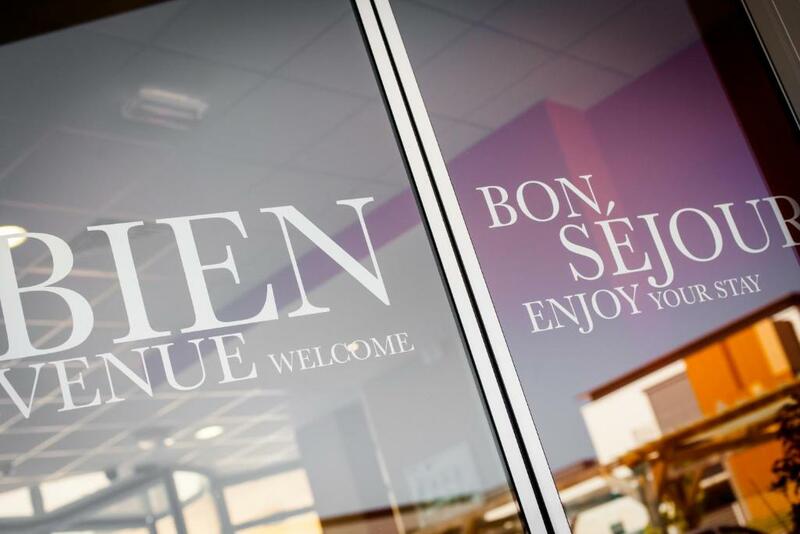 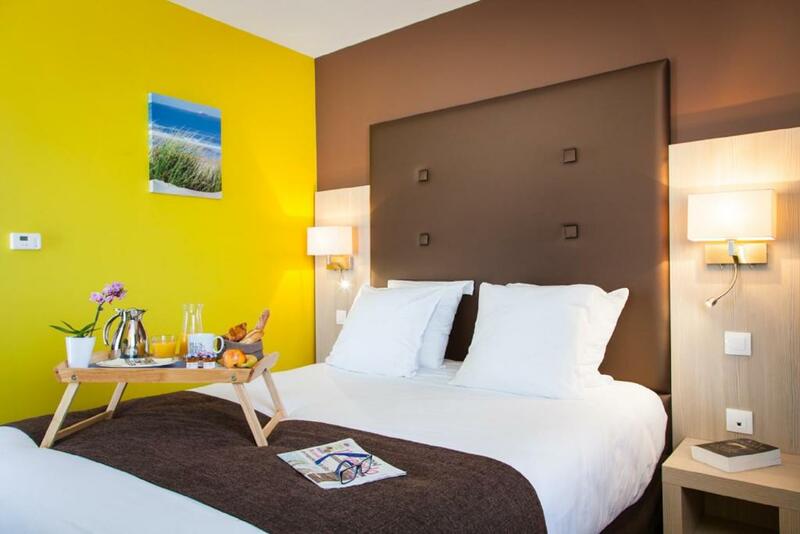 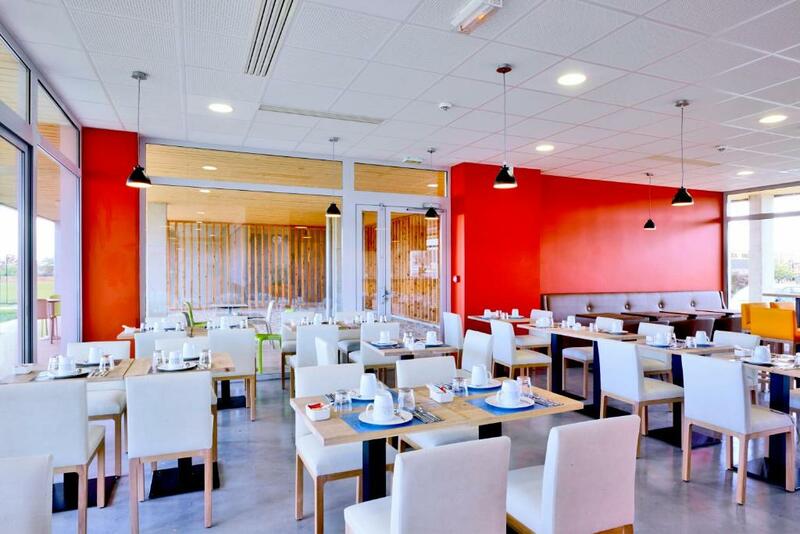 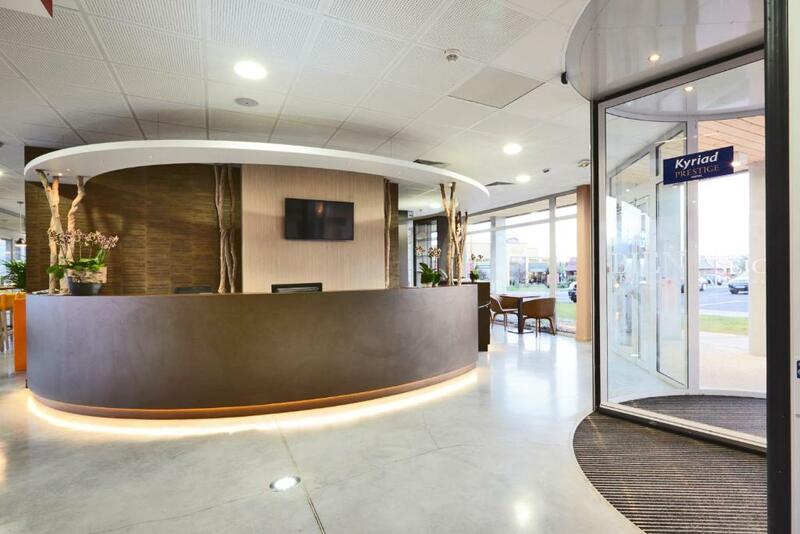 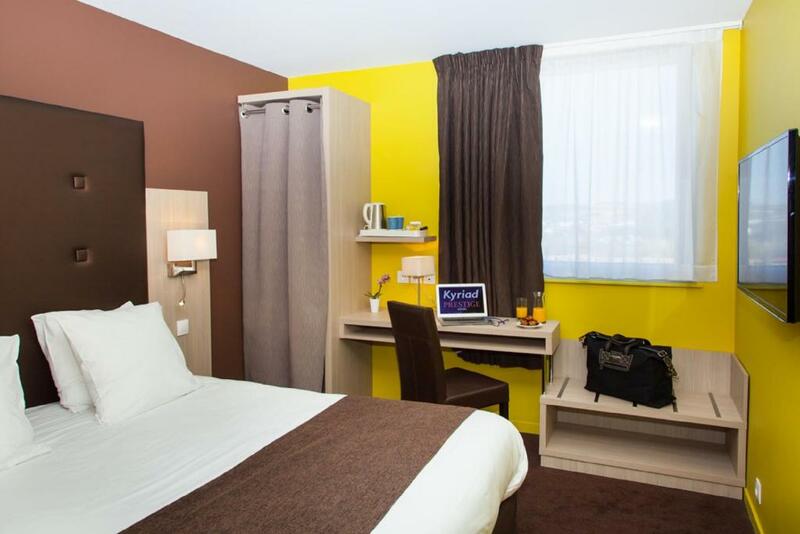 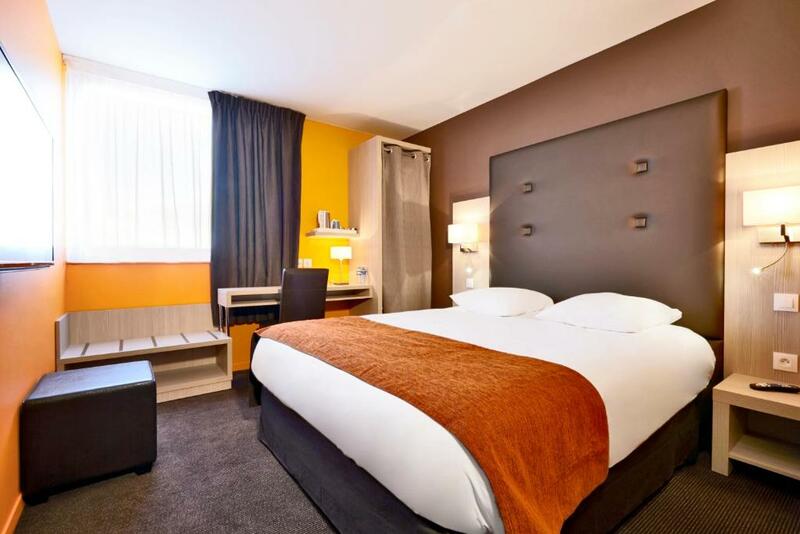 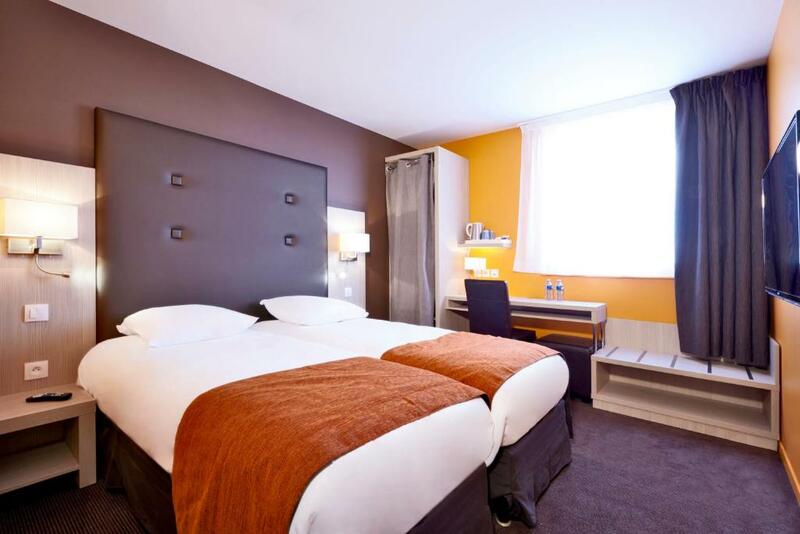 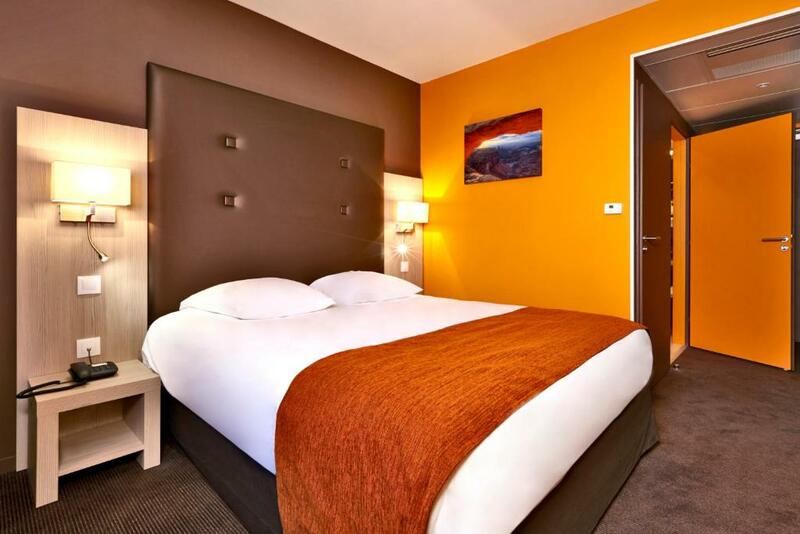 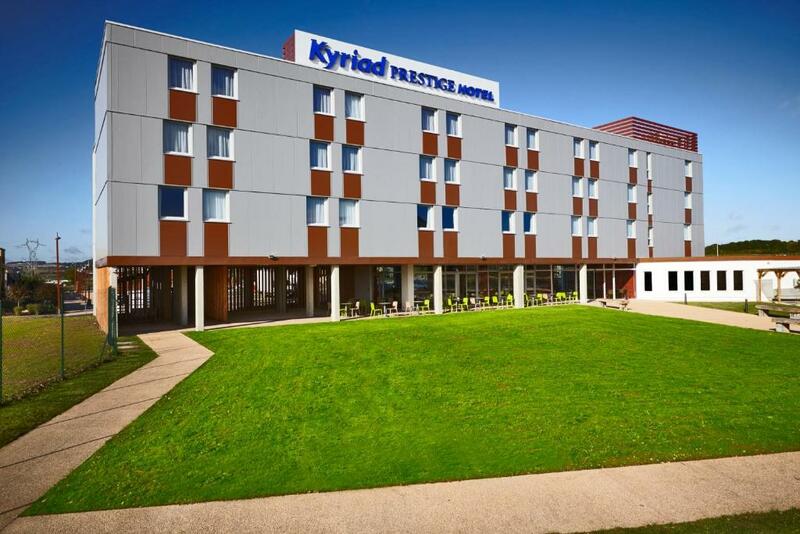 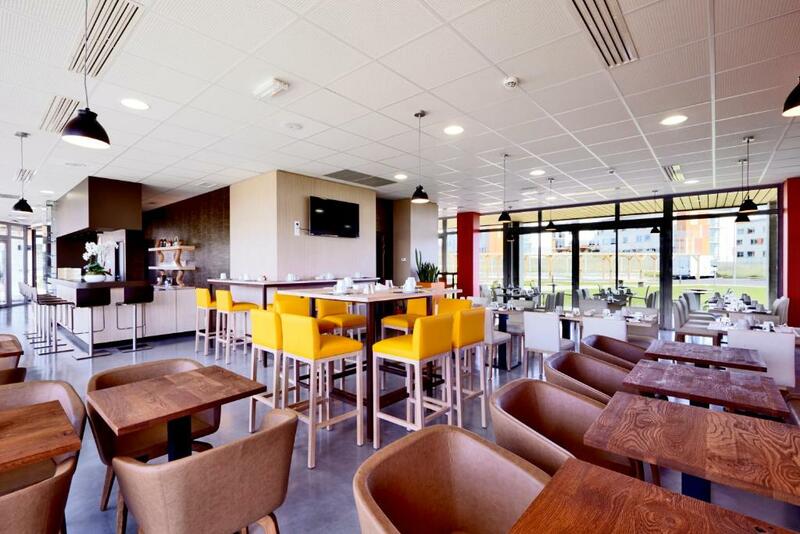 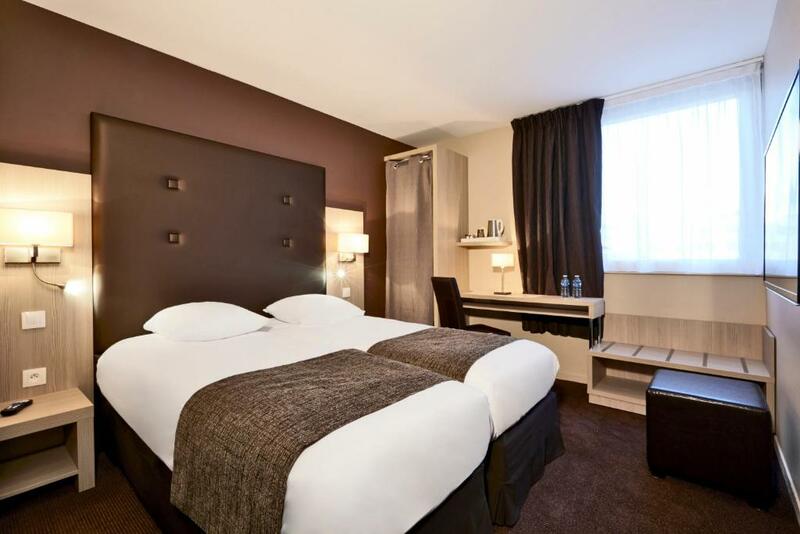 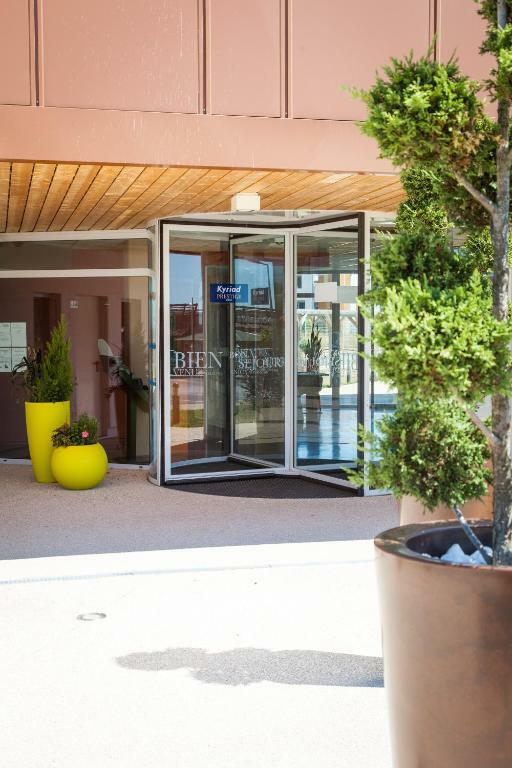 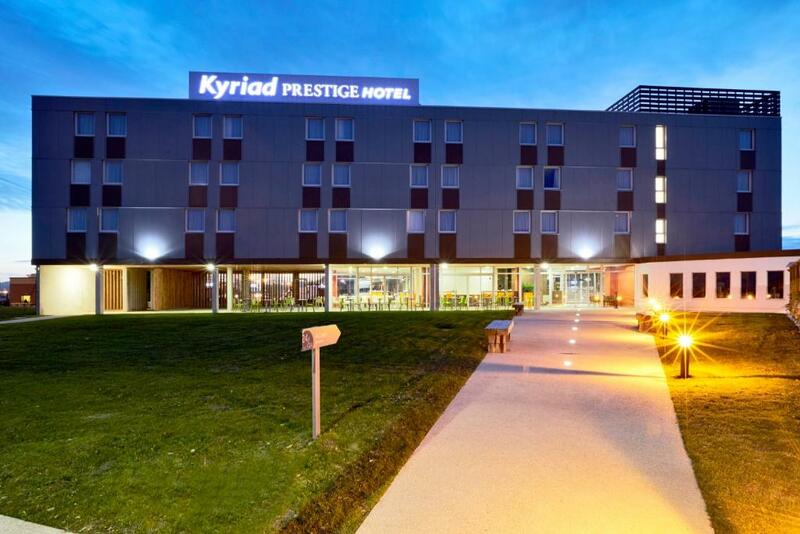 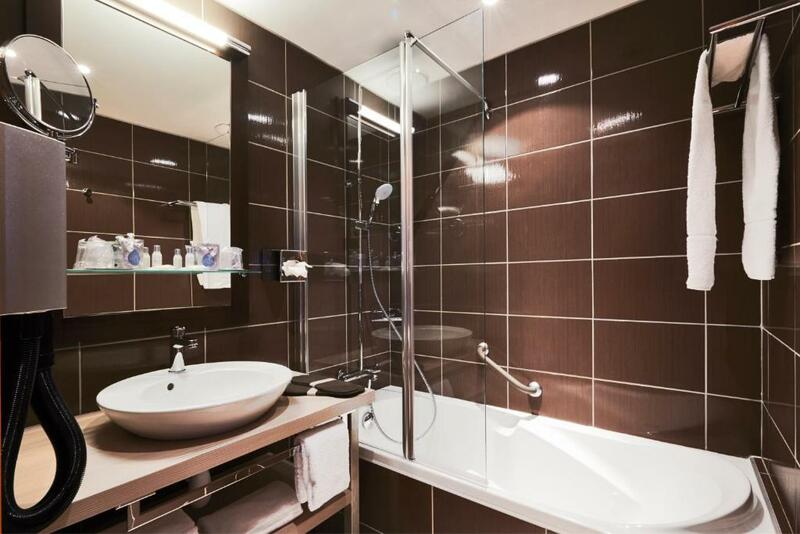 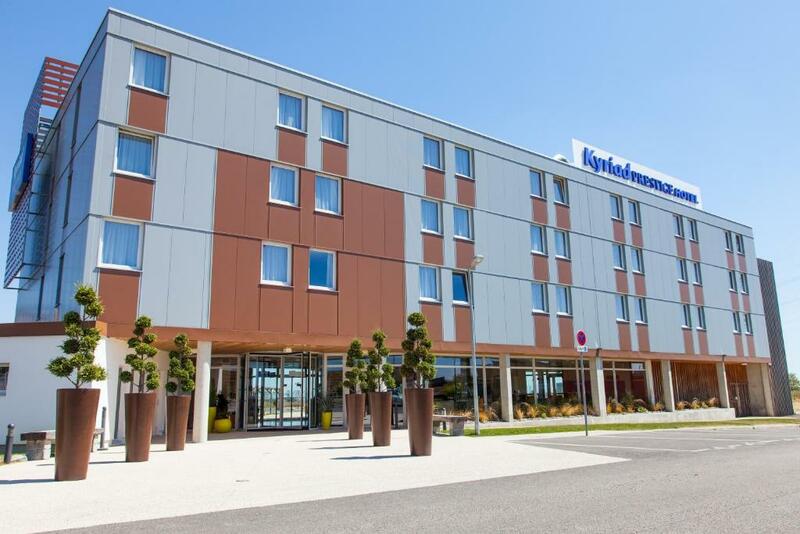 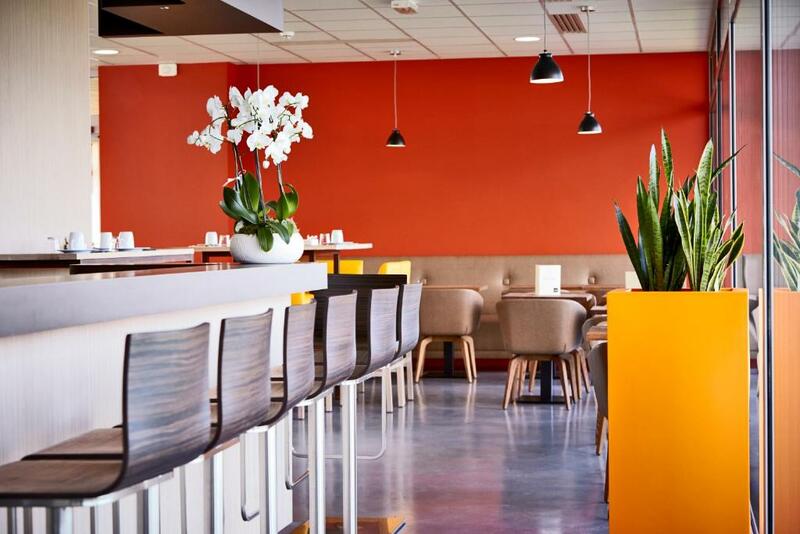 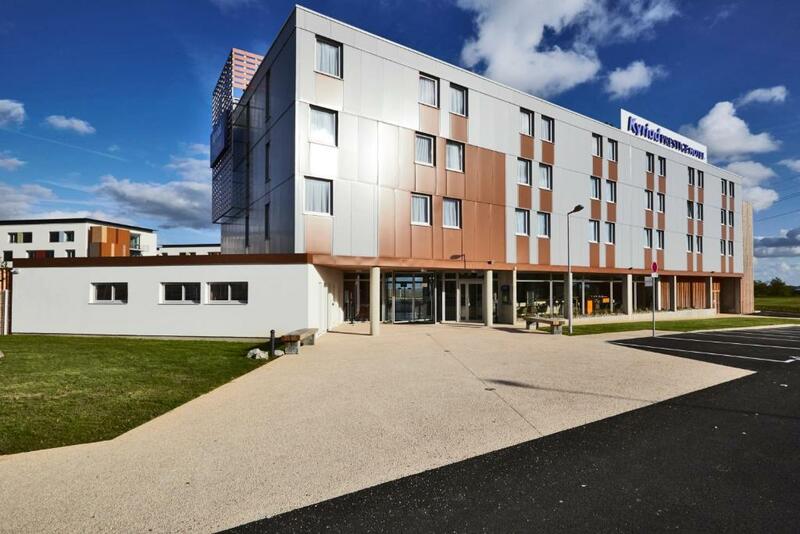 With a 24-hour reception desk, this Kyriad Prestige hotel is located 5 km from Dijon Train Station. 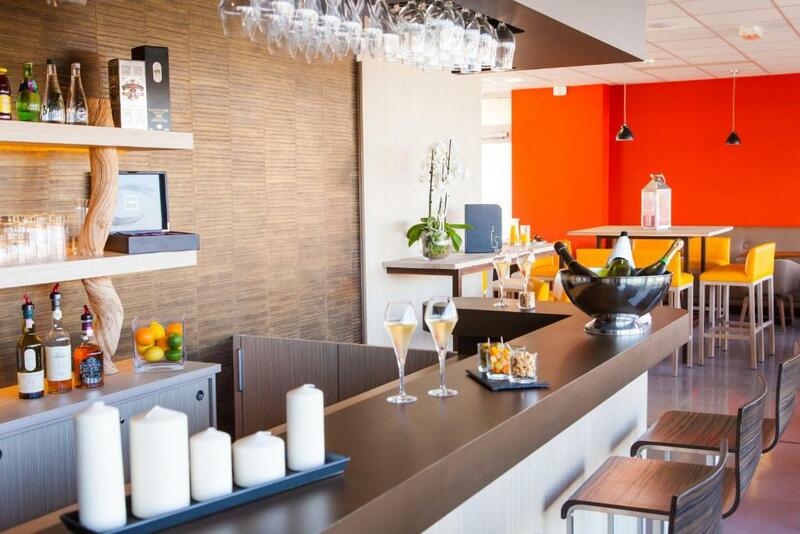 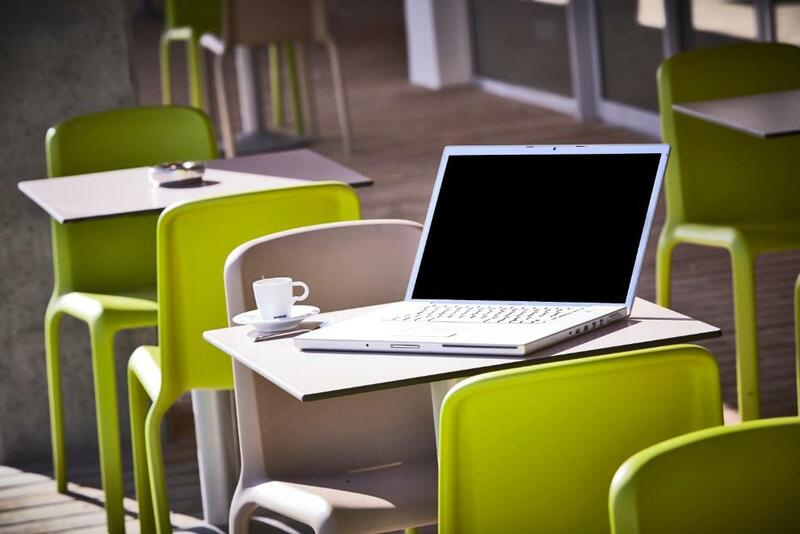 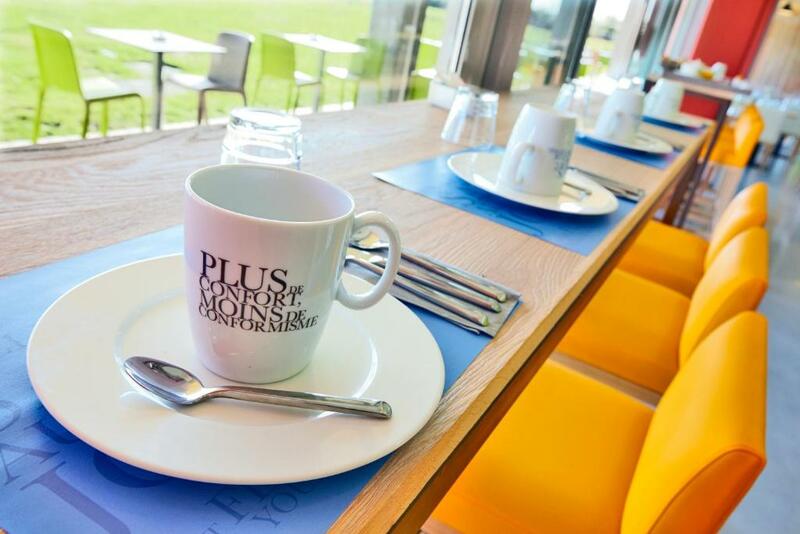 It offers free Wi-Fi internet access, free private parking onsite and a bar. 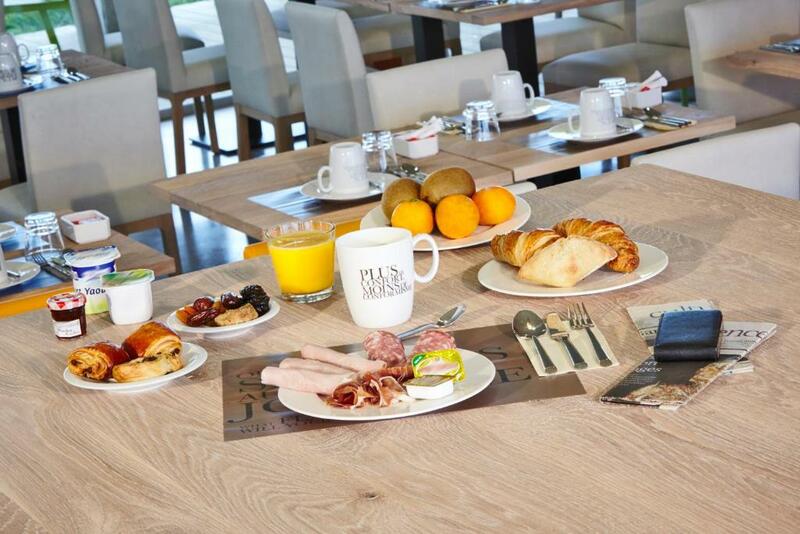 A buffet breakfast is served daily. 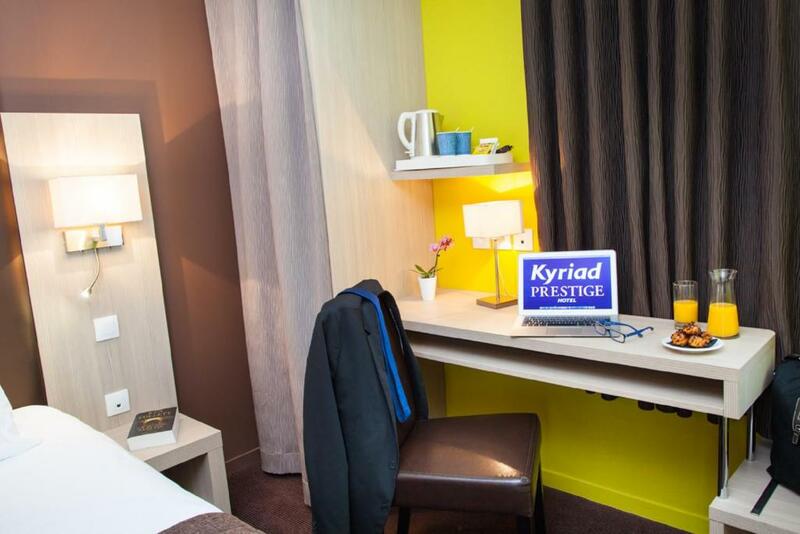 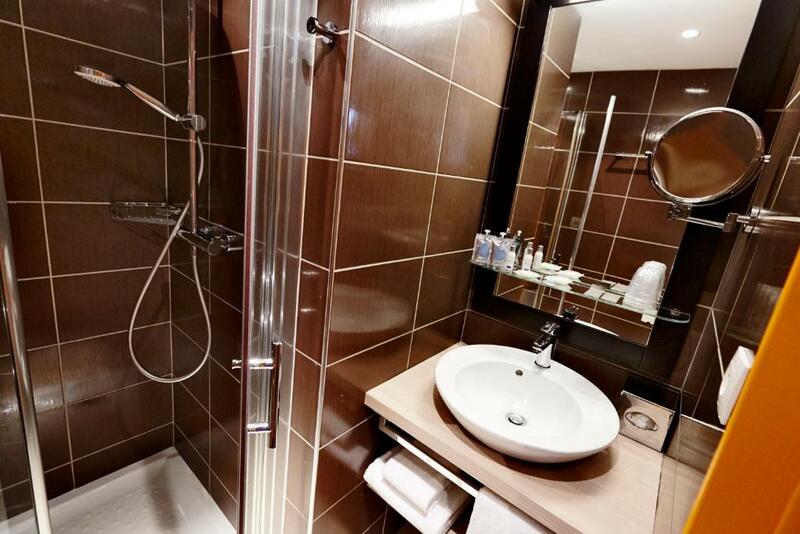 Serviced with a lift, all of the air-conditioned rooms at the Kyriad Prestige Dijon Nord – Valmy are equipped with an LCD TV, a safe and a telephone. 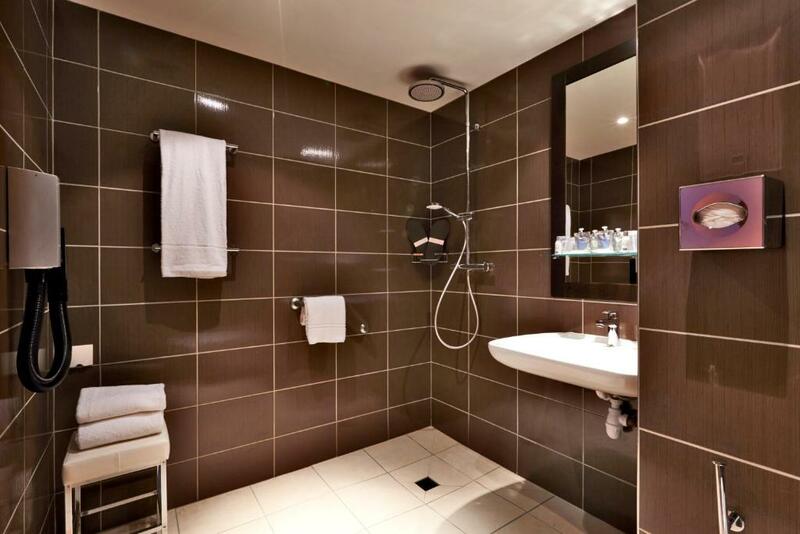 Some of the rooms have facilities for guests with reduced mobility. 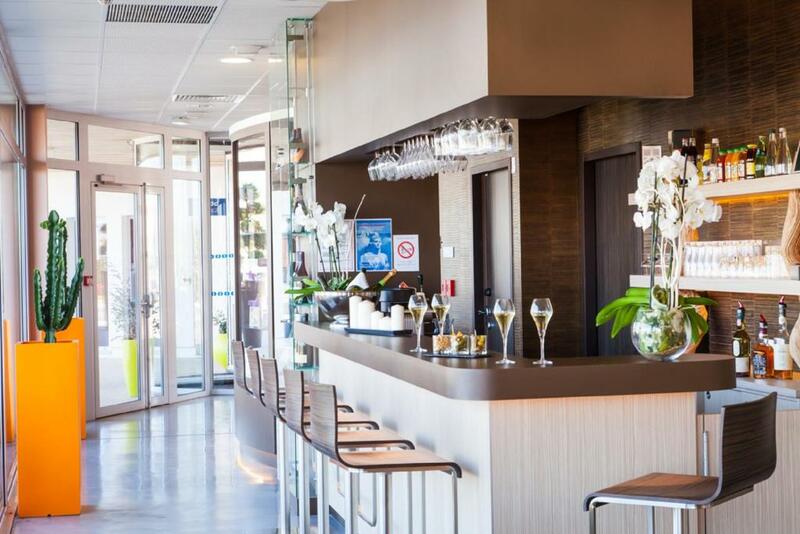 You can read one of the free newspapers on the hotel’s terrace. 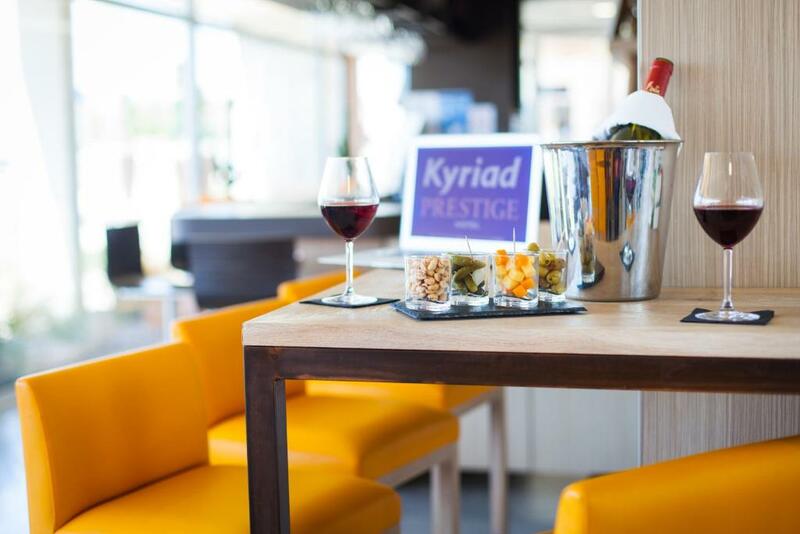 The closest restaurant is located 450 metres away and a shopping center can be found 1 km from this Kyriad Prestige.